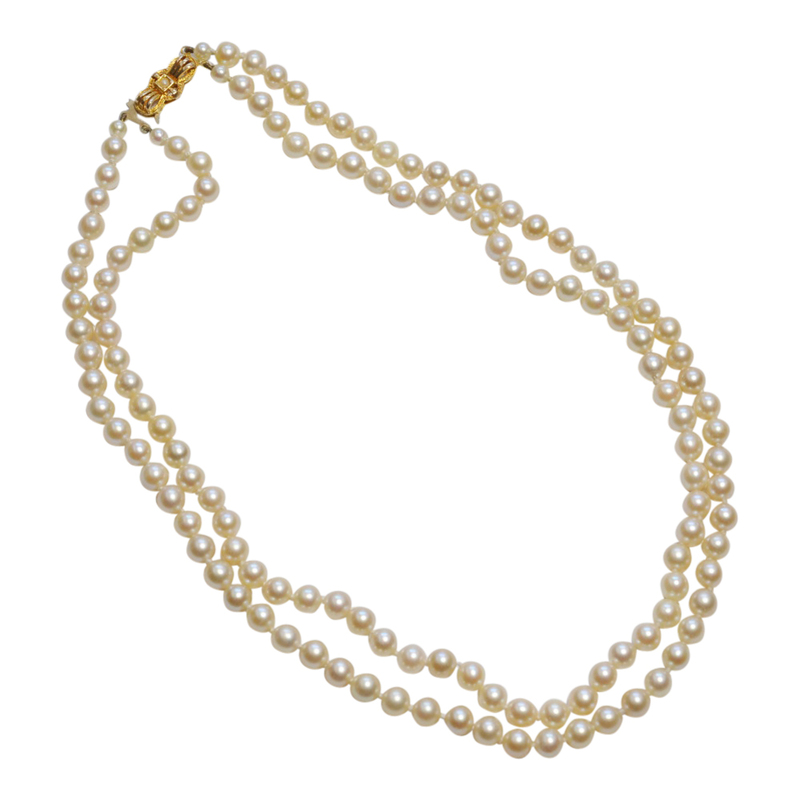 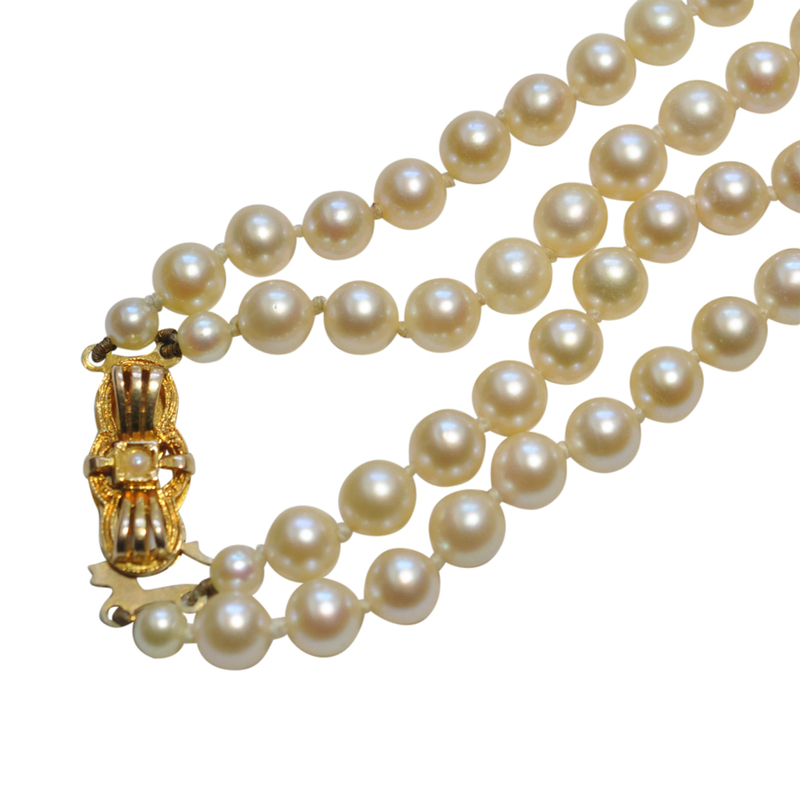 Double row of cultured pearls attached to a 9ct gold clasp. 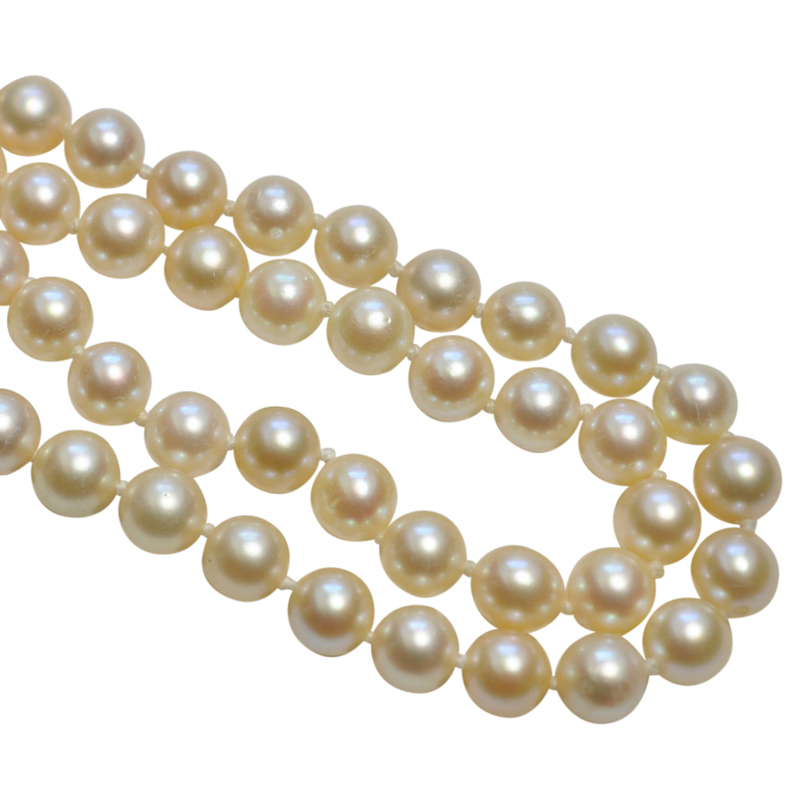 The pearls have a good strong creamy lustre and measure 6mm. 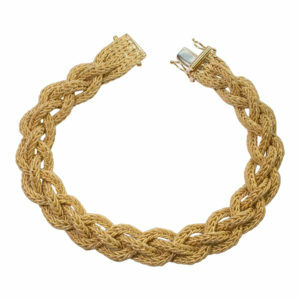 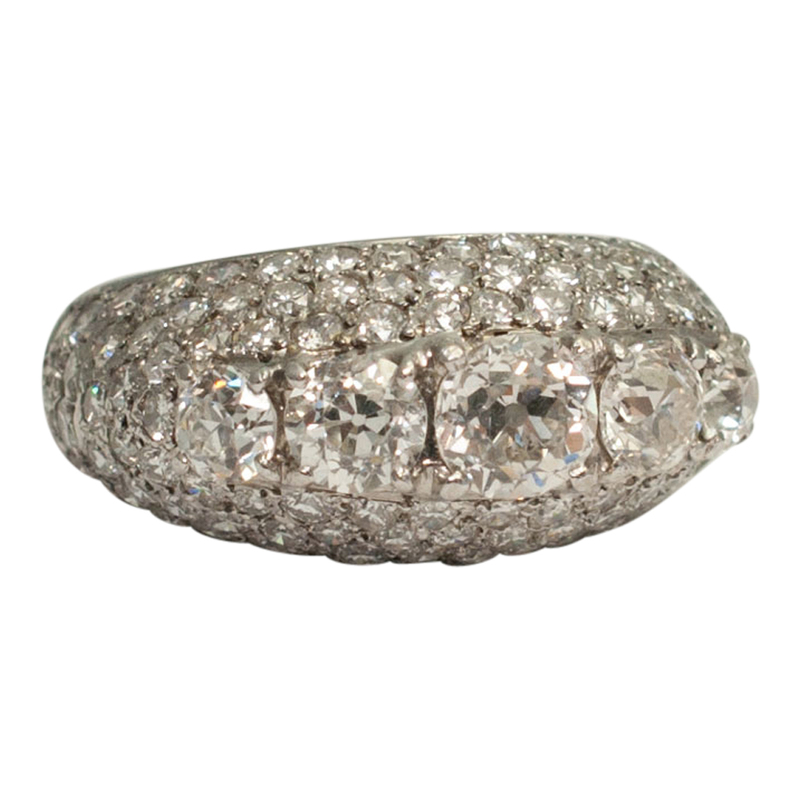 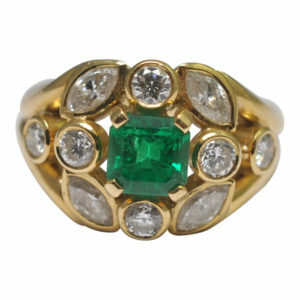 They are knotted individually and fixed to the bow shaped gold clasp. 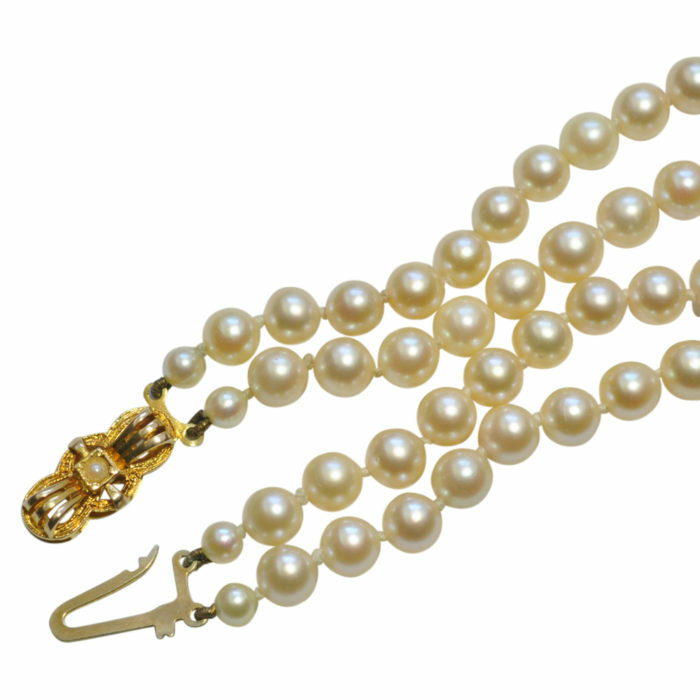 Length 17.5″/ 44.5cms; weight 37gms. 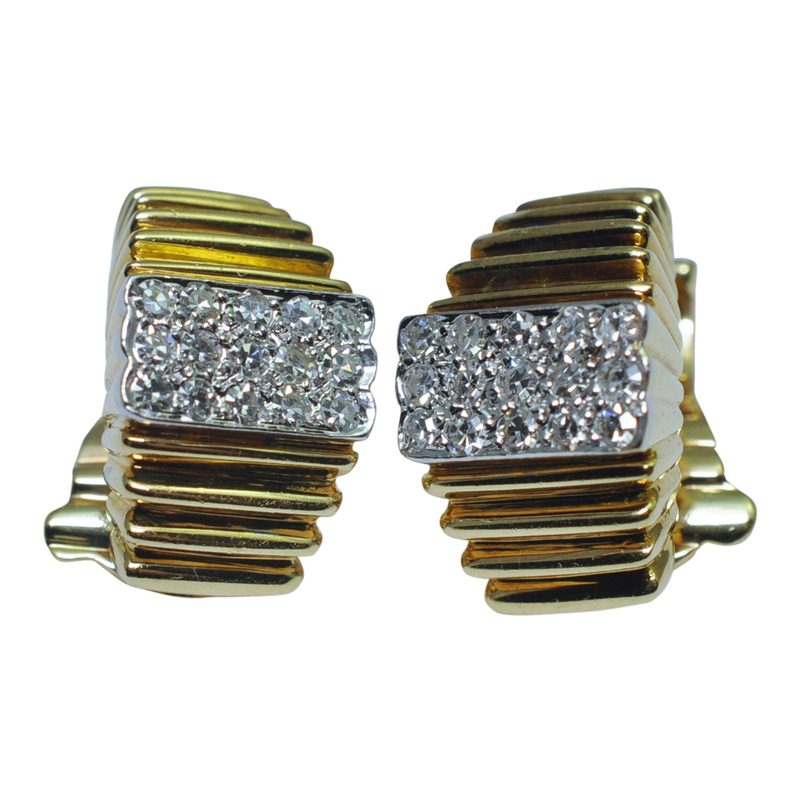 Stamped SFW and fully hallmarked 9ct gold Birmingham 1945. 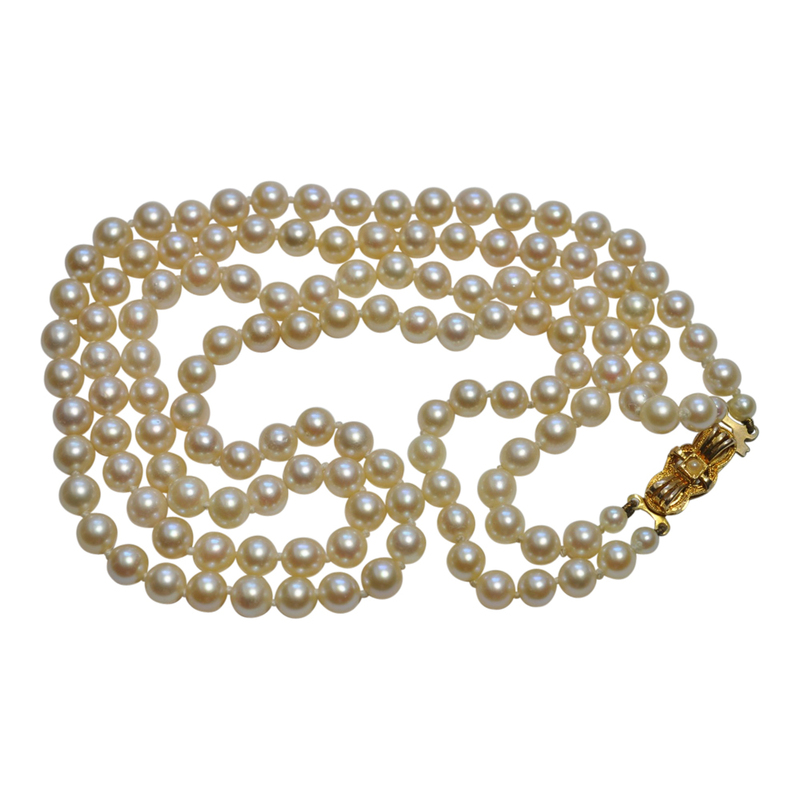 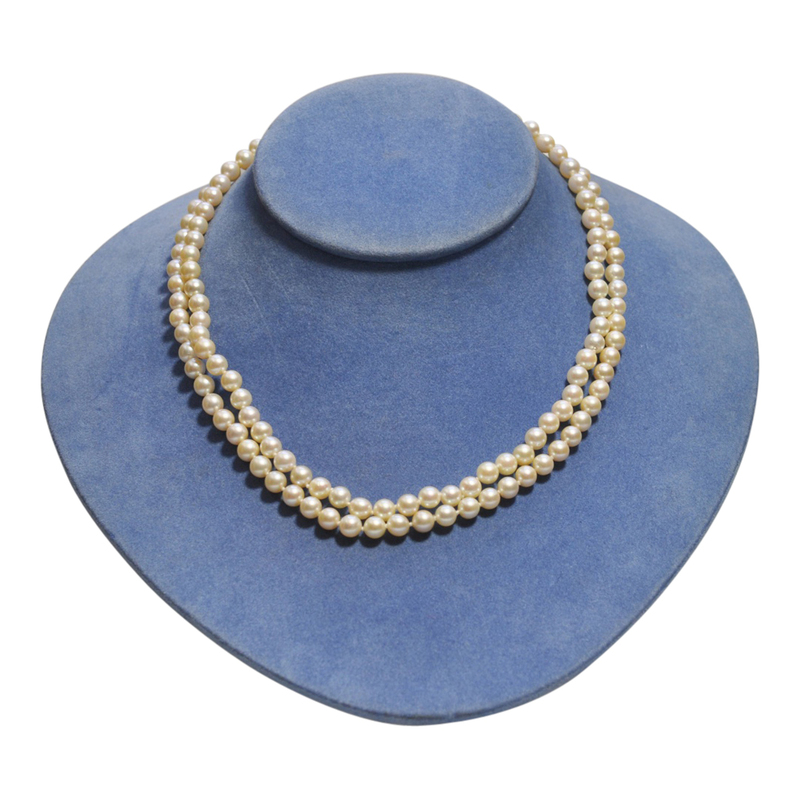 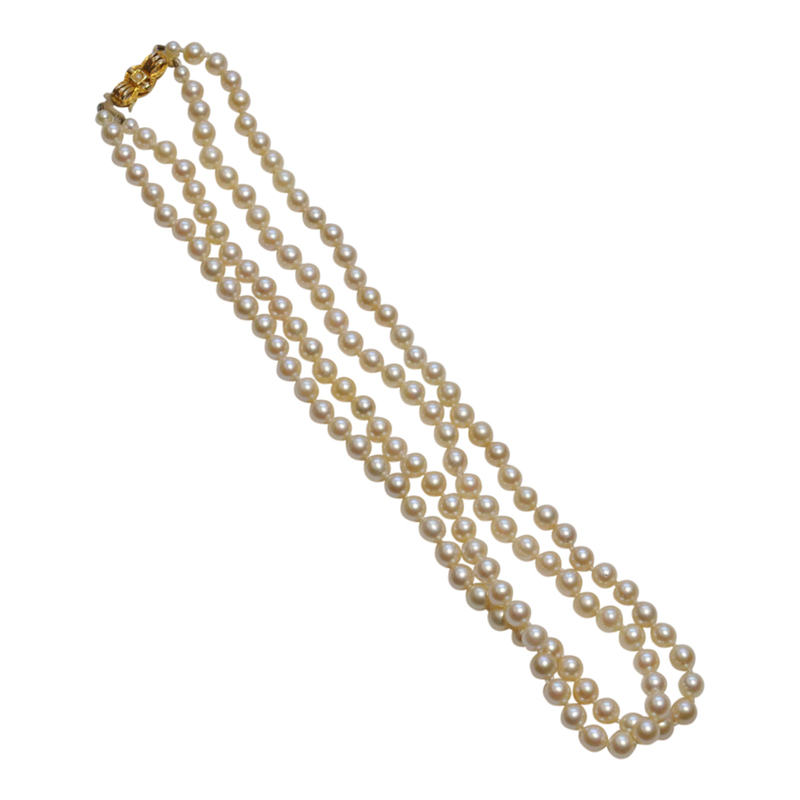 This is a classic pearl necklace, a staple in every woman’s wardrobe and is in excellent condition.